Book this Cruise or Package now. Boarding takes place from the Embankment pier – Opposite the Embankment underground station. 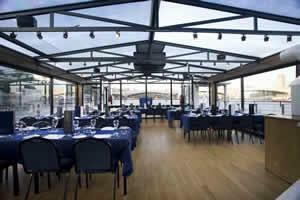 A unique opportunity to bring family and friends together to enjoy the delights of live music while dining on the Thames, with friendly service and fantastic views of London. The live entertainment performed by a Jazz band, who will cover well-known songs featuring listening classics and composers like George Gershwin and Frank Sinatra. 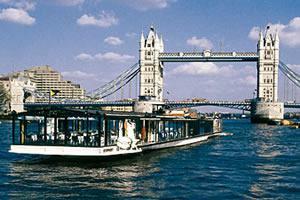 This unique River Thames Lunch Cruises offer the best in spectacular views. It takes you passed the Houses of Parliament, under the major iconic bridges sailing outward bound through London Bridge, Tower Bridge towards Docklands and the Dome. 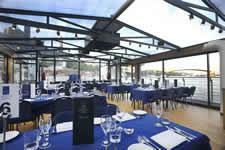 It’s the perfect way to see London with the comfort and panoramic views from the M.V Symphony and M.V Harmony while enjoying a freshly prepared Silver Service set Lunch. We have 2 Packages to choose from. An e-ticket will be sent with the timings and the name of the boat. Once booked there are no refunds. We cannot wait for late comers or return to the piers. All cruise are on stringent time schedule. Children under 4 are not permitted on the cruise.